I have had a couple of questions about teaching a horse that has never ground driven. Especially when the horse wants to turn and face and isn’t figuring it out. So I thought I would share how I started Zorro ground driving. Just in case someone wants to do it using positive reinforcement. I definitely was thinking outside the box a little bit with this! Zorro has always been super sensitive about his head. So in order to instill an entirely positive feeling about ground driving I started him at liberty using my target words, “Good Boy!” and my bridge word, “Good”. It was so much fun teaching him this way! My horses live on a track system so that made it a little easier, however don’t think you can’t do this if your horses live out in a field or in a big dry lot. I think it would work anywhere! First you have to load the target word, or the clicker if you are using a clicker. (Which can be either a hand held clicker or a “click” with your tongue.) To do this you will either click and treat or say Good Boy! and treat. Timing is very important when teaching this. The treat must come immediately after the target word or sound or they will have a hard time putting them together. This is also how I taught Zorro to hand me his feet, so he had learned the target word when I used it for that. First I loaded the target words and then I used them to mark the behavior I wanted, which when learning to let me handle his feet was when he picked the foot up. So back to the ground driving. First I would follow him around when he walked and when he was in front of me I would say “Good Boy!” and give him a treat. At first he didn’t put two and two together, but after a few times he started to understand, if he was walking in front of me he would earn a cookie! That morphed into me pushing the wheel barrow around and Zorro racing to get ahead of me so he could be the leader. If I was pulling the sled he would race ahead to earn his treat. It was so much fun watching him learn this! And it only took a few days. Positive Reinforcement really is amazing for creating a horse that wants to play with you. Next I started asking him to whoa. To shape that at first I simply stopped walking. He would walk a few steps then stop to see what I was doing and I would say “Good Boy!” and run up to give him a cookie. At this stage I didn’t have to treat him immediately because he had attached the target words, “Good Boy” with the cookie. Then I shaped that into him stopping but facing away from me. If he turned to face me when I said “Whoa” then he didn’t earn the cookie. If you start the process this way though it can be too hard to for them to earn the cookie so make sure you reward the slightest try and break things down so they can succeed. You don’t want to create anxiety about the treat! They love to feel smart when they are learning. Just like us! When I did start driving him in the halter and long lines, he was so awesome! He will organize himself in front of me no matter what. He will stop facing away all the time. And if someone is ground driving him that doesn’t know how to do it, Zorro will help them by never turning to face or getting tangled in his long lines. And if the long lines do get to be a mess on the road, say when I am dealing with Sky or Mikey being naughty about ground driving, when I start walking again, Zorro will simply turn around and walk off, no matter what the long lines are doing! LOL! This has made me laugh many times when the lines are between his legs or around a foot. He doesn’t care, he knows he is supposed to walk ahead of me. 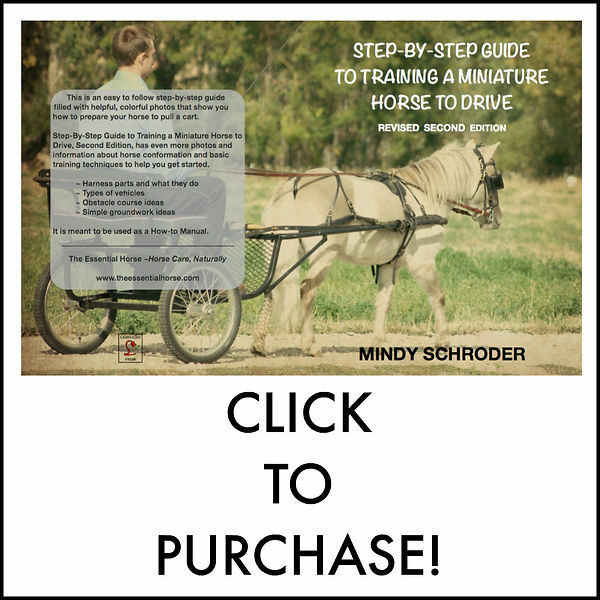 Using positive reinforcement is a great way to teach a horse the basics of ground driving! If you have any questions please feel free to shoot me an email or leave a comment below! Previous PostStarting a Young Horse Next PostZorro’s First Time Pulling the Travois!!! !